Despite Bitcoin being down 30% in 2018, new data shows a the number of hedge funds focused on cryptocurrency trading has doubled in recent months, seemingly confirming Mike Novogratz (and others) forecast that rising institutional interest would spark the next leg higher. But Reuters reports that data from fintech research house Autonomous NEXT, indicates the number of hedge funds focused on trading cryptocurrencies more than doubled in the four months to Feb. 15, to a record high of 226 global hedge funds with such a strategy. 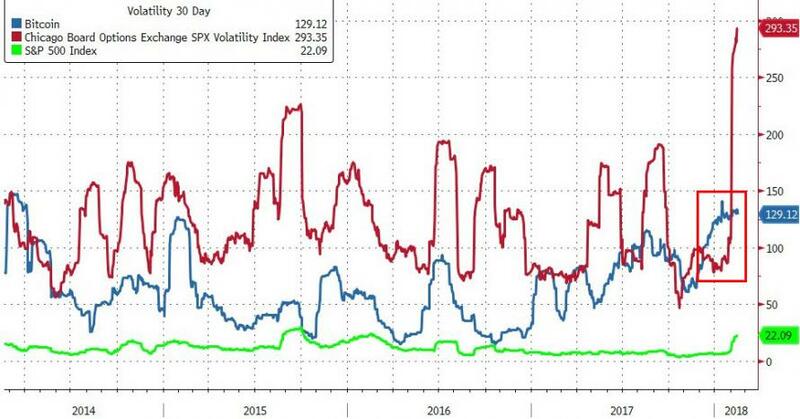 Perhaps the driver is simple, Bitcoin's volatility has been dramatically higher than stocks, and even VIX until the last few days, for the last few months (red square below). Assets under management hit between $3.5 and $5 billion, according to Autonomous NEXT. 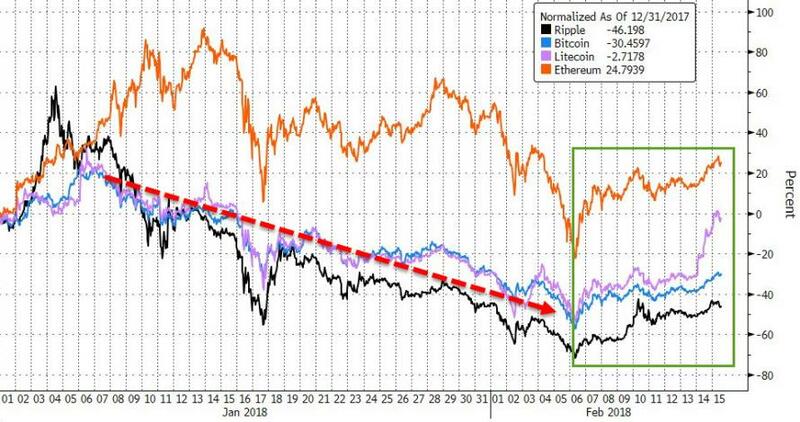 And it seems at least one is putting money to work aggressively in this 'dip', but, as Reuters notes, against that backdrop, cryptocurrency hedge funds lost an average of 4.6 percent in January, according to data from industry tracker Eurekahedge. The funds made an average of 1,477.85 percent in 2017, showed Eurekahedge data.